Revenue sharing seems like the only option if the real issue is profitability for each team….which of course indicates that this isn’t the real, underlying issue. You made a big mistake. BRI is not based on net income. It’s based on BRI. 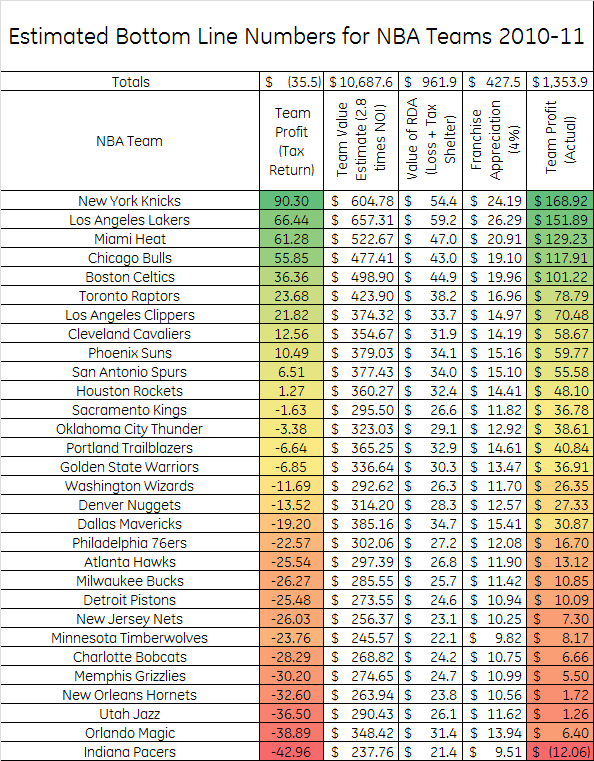 Owners deduct some $650 million of revenues before dividing the money 50/50 (or 57/43 in the previous CBA). This is why you keep getting everyone in the red. As a specific example, players only get to split a portion of luxury suites, not all of it. Also, luxury tax money goes to non-tax payers, in an already sort of revenue sharing program. That isn’t included here, either. 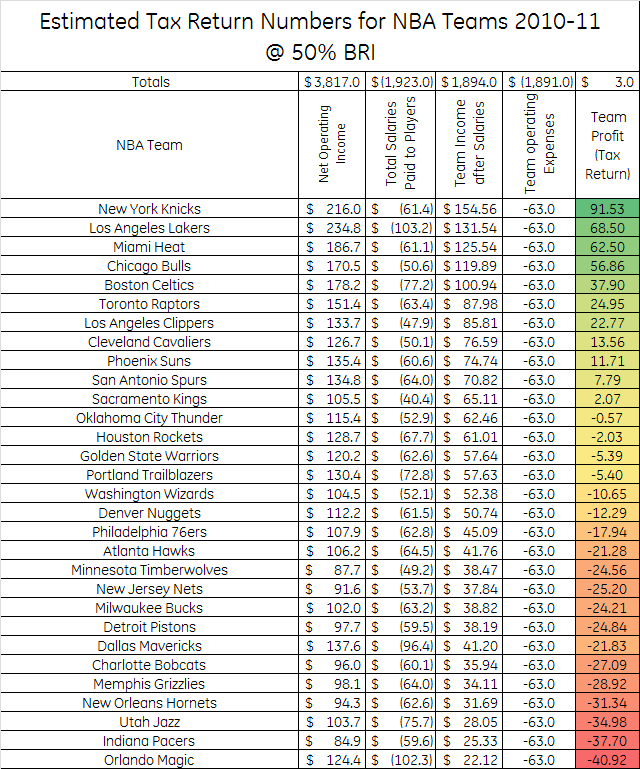 I also believe dividing the expenses for non-players evenly makes it worse, too. Certain leases cost more, certain owners (Cuban) spend more, etc. 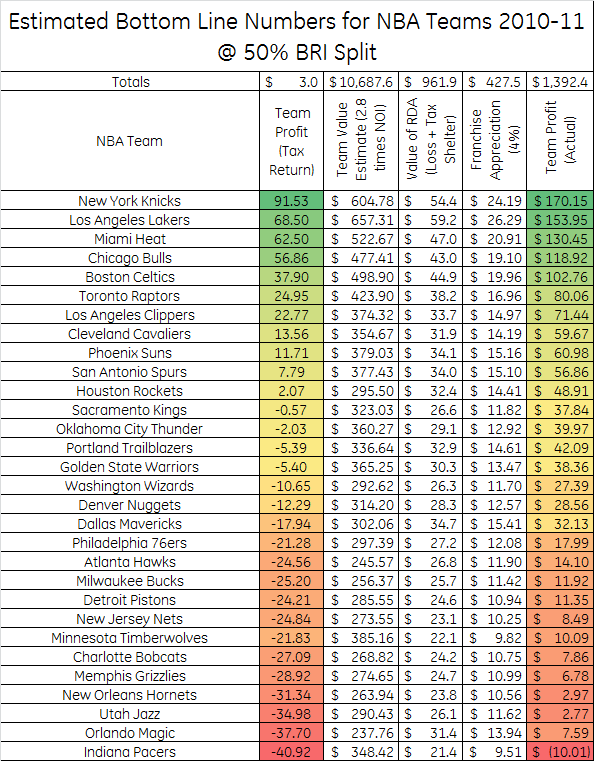 I think some of the teams at the bottom are spending less and thus losing less. But getting the actual income wrong is what is making the numbers so off. 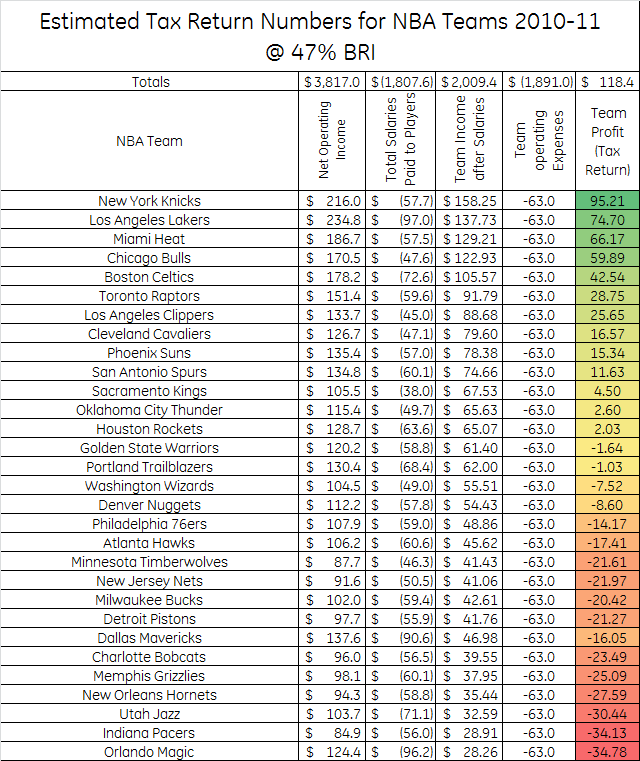 Actual League revenues are closer to $4.5 billion than $3.8 billion. The claimed $300 million losses include those numbers.